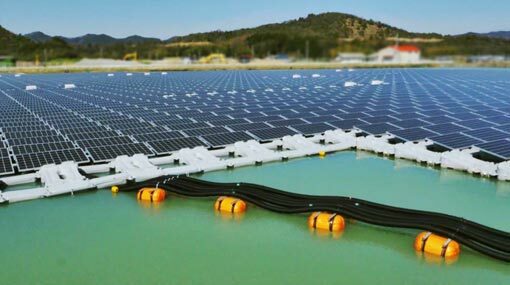 The Cabinet of Ministers has granted approval for a proposal to build a 100 MW floating solar power plant in the Maduru Oya Reservoir. Previously, the approval has been granted to act on this proposal as a joint project of the Mahaweli Authority of Sri Lanka, the Ceylon Electricity Board, and the Sri Lanka Sustainable Energy Authority. The government of Canada has proposed to implement this plan as a solar energy storage project using solar panels and batteries which can store electricity. Accordingly, permission has been granted to establish a joint venture with Canadian Solar Inc. and to appoint a joint action committee to conduct discussions on this. This proposal has been presented to the Cabinet jointly by the Minister of Mahaweli Development and Environment President Maithripala Sirisena and the Minister of Power, Energy, and Business Development Ravi Karunanayake.